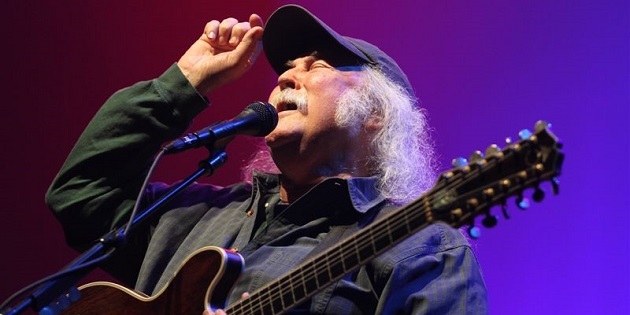 At the urging of his doctor, on Friday, February 14, David Crosby underwent a cardiac catheterization and angiogram, based on the results of a routine cardiac stress test. The left anterior coronary artery was found to be 90% blocked, and two stents were placed to provide blood flow to his heart muscle. David is expected to have a full recovery. He did not have a heart attack, though it is certain that had he chosen to ignore his doctor’s urgent recommendation, it would have led to one. Because he has been instructed to rest before resuming normal activities, the two (2) sold out shows scheduled for the Great American Music Hall in San Francisco on Feb. 20 and 21 have been postponed to April 20 and 21. Please contact the box office at the Great American Music Hall for details. The five (5) sold out shows at the Troubadour in Los Angeles, CA previously scheduled for Feb. 23, 24, 25, 27, 28 will also be postponed to April. The exact dates will be announced very shortly. All Crosby, Stills & Nash shows will continue as scheduled. The first show of CSN’s 2014 tour kicks off in Richmond, VA on March 4th.